"I want to discuss the Wafer-Level Optics portion of our Imaging and Optics business. 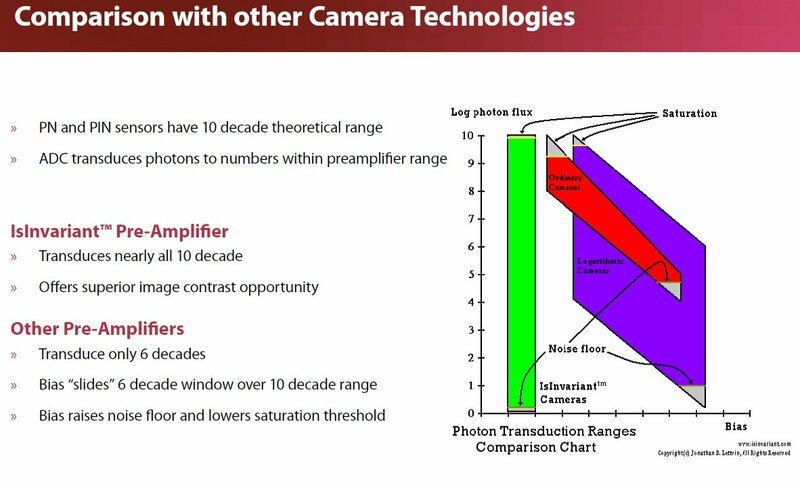 We conducted an exhaustive evaluation over the past few months of various strategic options for our Wafer-Level Optics for camera modules technology. Our findings are that though Wafer-Level Optics remains a competitive technology solution, improvements in cost and manufacturability of alternative technologies has diminished the disruptive nature of Wafer-Level Optics to such an extent that pursuing a licensing strategy further would not generate results consistent with our expectations. We concluded the best alternative was to cease further development of this technology and pursue a long-term vision of generating revenues through more Imaging and Optics product opportunities." "...on the Wafer-Level Optics wind-down, I guess you can you at all quantify what level of contribution to that Imaging and Optics line on the royalty side was coming from this part of the business?" "Yes, we have not reported any royalties in our Imaging and Optics business from Wafer-Level Optics." "...what does that do to the opportunity for some of your other imaging technologies, is the market opportunity diminished at all, maybe you could just frame the lack of uptake of the Wafer-Level Optics side to the adoption of other technologies that you guys have in your portfolio?" "Pricing for lens technology in general, as it relates to the wireless market, has been very intense, and prices have come down very sharply. And so it diminished the value of a licensing model in that market. Also, glass and injected molded plastics have become much more competitive. And glass, traditional glass lenses in particular have become much more manufacturable and are able to be used in reflow environments. So I just want to make the point that we’re not saying that Wafer-Level Optics is not a competitive technology, because we believe that it is, but only in the sense if you were manufacturing those lenses and competing against the alternatives that I just mentioned. ...our skill set is really more in lens design, algorithm development and that sort of efforts, and so finally, we decided it did not make sense and did not play to our core competencies. One is our extended depth of field. ...We created a very strong capability in our optical zoom. It's really a very disruptive technology, ...there has been tremendous interest in the market in the product. The pricing on that is several orders of magnitude higher than our accepted depth of field technology. ...it does save on the cost side of the equation to the handset manufacturer. It represents maybe 20% of the cost of ...a mechanical zoom system. we’re very pleased with our acquisition of Siimpel. ...We are very far along in completing development of the second-generation product, which is smaller, works quicker, faster. There is tremendous interest in the market in that product and we believe we'll have revenue coming from MEMS starting in the second half of next year." "...on the Wafer-Level Optics, are you able to sell that business to anybody?" "There's always the possibility something can happen in the future, but I'm certainly not anticipating that to occur at this point in time." "our ...EDOF technology continues to gain market adoption. ...our ...EDOF royalties nearly tripled in the third quarter of 2010 as compared to the third quarter of 2009." EETimes also has an article on Tessera dropping Wafer Level Optics. Canesta announced that it has signed a definitive agreement to have its products, technology, intellectual property, customer contracts, and other resources acquired by the Microsoft. No details of the agreement have been disclosed. The acquisition is expected to be completed before the end of this year. Canesta has about 70 employees and has raised approximately $70 million. It has 44 patents granted to date and dozens more on file. There is a nice company fact sheet here. Canesta team complements 3DV team acquired by Microsoft in June 2009. This shows that Microsoft internal R&D efforts continue to be concentrated on ToF technology. So, it looks like it's going to be a nice competition between the internally designed ToF sensor and Primesense's structured light - active stereo approach. Primesense won over 3DV in the first generation Kinect. Do the combined 3DV and Canesta efforts give them a win in the next turn? - only time can tell. Updates: The Street says it got an email confirmation of the deal from Microsoft saying "Microsoft has long pursued a vision of natural user interface. Canesta has developed some interesting technology for sensing gestures that complements advances already underway at Microsoft." NYT quotes Steve Ballmer, Microsoft CEO, discussing the company’s plans to advance the gesture technology "well beyond video games". Omnivision Sensors in Next-Gen iPad? Barron's: OmniVision will supply image sensors for a second-generation Apple iPad that will launch in the first quarter of 2011, according to investment firm Detweiler Fenton. Detweiler Fenton claims that the new iPad will ship with two cameras, a 5 MP camera and a VGA camera, and likely will support Apple’s FaceTime video chat software. Detweiler says that Apple will build 2.5 million units of the next iPad in calendar Q1, providing an incremental 5 million units of demand from Apple for Omnivision. He says that if you assume 23 million iPhones will be built in Q1 2011 - which includes more than 6 million for Verizon Wireless - Apple will account for nearly a third of OVTI’s chip demand, and most of its shipments of 5 MP sensors. PR Web: World image sensors market is predicted to grow at an impressive CAGR of more than 9.0% to reach US$14.16 billion by the year 2015, according to a new report by Global Industry Analysts, Inc.
As stated by the report, Asia-Pacific is the largest regional market for image sensors. Latin America is the fastest growing regional market, surging at a CAGR of more than 11% over the analysis period. Growth in Latin American image sensors market can be particularly attributed to burgeoning economies such as Brazil, Mexico and Argentina, which have been generating significant demand for these sensors in application areas such as process, manufacturing, consumer electronics and biotechnology. By product, CMOS image sensors market is the most prominent segment. Dislodged by the cannibalizing popularity of CMOS image sensors in consumer electronics and mobile applications, the world CCD image sensors market is projected to sail at a CAGR of more than 3.0% over the analysis period. According to iSupply press release, of the total 1.7 billion units forecast for the 2010 image sensor market, CCDs will account for a roughly 9.8% share, down from 11.4% in 2009. And while the decrease in unit share is slight, the trend appears to be irreversible, with CCD sensors to make up only 4.7 percent of the market by 2014. In contrast, the CMOS image sensor market will expand its unit share of the market to 90.2 percent this year, up from 88.5 percent in 2009. The migration to CMOS from CCD will continue unabated for point-and-shoot cameras. By next year, the proportion of point-and-shoot models using CMOS will climb to 24 percent, up from 14 percent in 2009. The shift to CMOS among DSLR cameras is occurring even much faster: By 2014, fully 99 percent of DSLR models will be based on CMOS sensors. Pixim added Craig Robinson and Joe Peery to its marketing team. Craig Robinson is Pixim's new director of business development, Latin America. Based in Miami, Robinson is responsible for the development and growth of the Latin American market. Joe Peery is a new global director of financial business development, focused on the banking/financial vertical market. 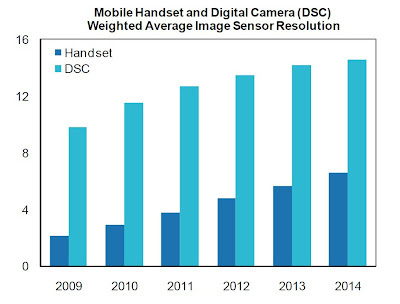 The sales revenue of image sensor devices is predicted to reach an unprecedented $8.3 billion at a Year on Year (YoY) growth rate of 29% in 2010, with demand for digital cameras, camera phones, and machine-vision systems recovering with the global economy. CMOS based devices held a revenue share of 61% revenue in 2010 while CCDs accounted for the remaining 39%. Business Wire: Advantest’s new T2000 CMOS image sensor test solution provides customers with 64-DUT parallel test capability, claimed to be the highest in the industry - 8x higher than the previous Advantest product. The new T2000 CMOS image sensor test solution incorporates a test head configured with a large optical source, and a new CMOS image sensor test module, providing illumination to an area greater than 10x that of Advantest’s previous tester. At 208mm x 252mm, the area of the new test head permits great flexibility in layout creation and device test, enables customers add custom circuitry for their applications. The tester's differential input supports serial data at 1.2Gbps speed per lane, 4 lanes x 4 channel or parallel data at 200M pixels/s, 16 bits x 4 channel. The image capture memory is 128M pixels x 2 banks, capable of storing continuous image data of up to 255 frames. Digitimes: Taiwan-based optical lens maker Newmax Technology has become the only supplier of camera modules used in Microsoft Kinect. I believe Newmax makes webcam modules for Kinect, rather than the depth-mapping ones. The company plans to ship as many as 14 million units of these modules in 2010, according to Digitimes' sources. Business Wire: Fujitsu has licensed Tessera’s OptiML Video Tools hardware acceleration technology to enhance the video and imaging capabilities in its Milbeaut chipsets. The OptiML Video Tools combine image processing hardware and software in a single solution to maximize camera performance while reducing demands on system resources. The hardware acceleration is used for computationally intensive tasks, with the remainder of the image processing is carried out by the software. VC Cafe: Primesense has raised a $50M round from French investment bank Lazard Group, based on a valuation of $300M. This unusually high valuation for an imaging company just starting its mass production reflects the perceived need in a good depth-sensing 3D technology. 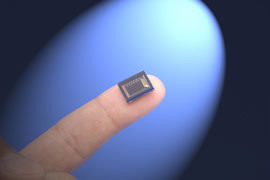 While this is not exactly image sensor news, but Hamamatsu Photonics announced a successful development of an ultra-compact, next-generation μPMT (Micro photomultiplier tube). The μPMT is the world’s first PMT to be fabricated through the use of semiconductor processes for MEMS devices. Its prototype is thinner than the smallest PMT that Hamamatsu currently offers. By comparison, the μPMT has only 1/7th the volume and 1/9th the weight. 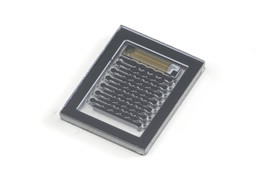 Due to this extremely small size, it is expected that μPMTs will contribute to the development of more compact instruments for medical diagnostics, environmental monitoring, and applications in many other fields. The μPMT is designed for mass production. Promotion with samples of the uPMT is scheduled to start for research & development in January 2011. - saturation level : 2818 DN (2800 DN). There were two applications that caught my eye in the recent patent stream, for different reasons though. There are 4 different kinds of transfer gates, instead of one or two in the prior art. It's harder to optimize the process with more kinds of Tx gate. There are two different pixels for each color, like two Gr, two Gb, etc. differing by the corner where Tx gate is located. It creates a nightmare with shading and color crosstalk correction across the sensor area. Anteryon WaferOptics BV was voted by Iwate Toshiba Electronics Co., Ltd as one of the four "Best Partners of First Half of 2010"
Nobuyoshi Takasu, President and Chief Executive Officer of Iwate Toshiba Electronics says to Anteryon: "You have demonstrated an in-depth understanding of our camera module business and your outstanding efforts in supplying camera module materials has made a significant contribution to the development of the our business." This award essentially confirms that Toshiba is one of Anteryon customers, as first said by Yole Développement in its reverse engineering report few months ago. New Imaging Technologies' (NIT) Native WDR sensor and PMD's 3D sensor are the only image sensor companies in the Vision Award shortlist. The award is sponsored by Imaging and Machine Vision Europe, to be presented at the Vision Show in Stuttgart on November 9-11. New Imaging Technologies (NIT) offers CMOS imaging sensors based upon a patented pixel technology, which provides intrinsic high dynamic range response of more than 120dB, no noticeable fixed pattern noise and operability without image artifacts to more than 90°C. PMD sensors enable the real-time measurement of depth maps and grey-value images at lateral resolutions of up to 204 x 204 pixels based on ToF principle. Jérôme Vaillant, STMicroelectronics (France); Clemence Mornet, STMicroelectronics (France) and IMEP (France); Thomas Decroux, Didier Hérault, STMicroelectronics (France); Isabelle Schanen, IMEP (France). 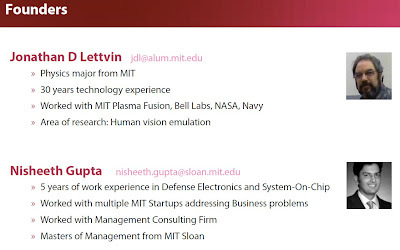 Phanindra V. R. Kalyanam, Glenn H. Chapman, Ash M. Parameswaran, Simon Fraser Univ. (Canada). Gayathri Gangadharan Nampoothiri, Albert Theuwissen, Technische Univ. Delft (Netherlands); Marc Horemans, Consultant (Belgium). Ralf Widenhorn, Justin Dunlap, Erik Bodegom, Portland State Univ. (United States), Mark S. Robbins, Pritesh Mistry, Paul Jorden, e2v technologies plc (United Kingdom). Hirofumi Yamashita, Motohiro Maeda, Shogo Furuya, Takanori Yagami, Toshiba Materials Co., Ltd. Image sensor noise: you love it or you hate it! Albert J. P. Theuwissen, Harvest Imaging (Belgium). Morley M. Blouke, Portland State Univ. (United States). Gabriele Guidi, Michele Russo, Grazia Magrassi, Monica Bordegoni, Politecnico di Milano (Italy). Kalin Atanassov, Vikas Ramachandra, Sergio R. Goma, Qualcomm Inc. (United States). There many more interesting papers, just too many to post them all here. The conference is well worth attending. TempSensorNews: New Imaging Technologies (NIT) announced NSC0803, a 320 x 256 pixels resolution multipurpose readout circuit operating in voltage sensing mode. 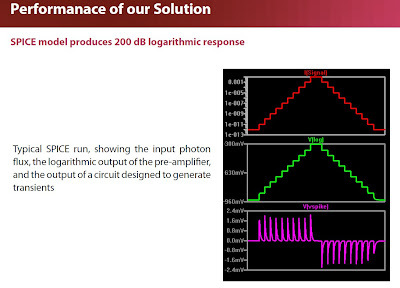 When connected to a junction photodiode array, NSC0803 offers a true logarithmic response versus optical illumination without saturation with more than 120 dB true dynamic range. The aricle also talks about NSC0905 - a 1024x1280 logarithmic sensor specially designed for high performance intensified night vision applications. It's based on 10.6um pixels with 70% fill factor. As mentioned in comments to "NoblePeak is No More" post, ElectroIQ published a preview of the company paper on IEDM 2010. NoblePeak Vision will explain how they integrated a low-noise, high quantum-efficiency germanium photodiode into a 10μm-pitch VGA sensor. One challenge in building quality Ge-on-Si diodes has been the high thermal budget associated with reducing Ge dislocation densities caused by the Ge/Si lattice mismatch of 4%. Using a high aspect (AR) ratio connection between the germanium and silicon, the NoblePeak process induces in-plane tension, which extends the absorption band edge of the germanium, helping the sensor to capture night glow at peaks of 1.3μm and 1.6μm. 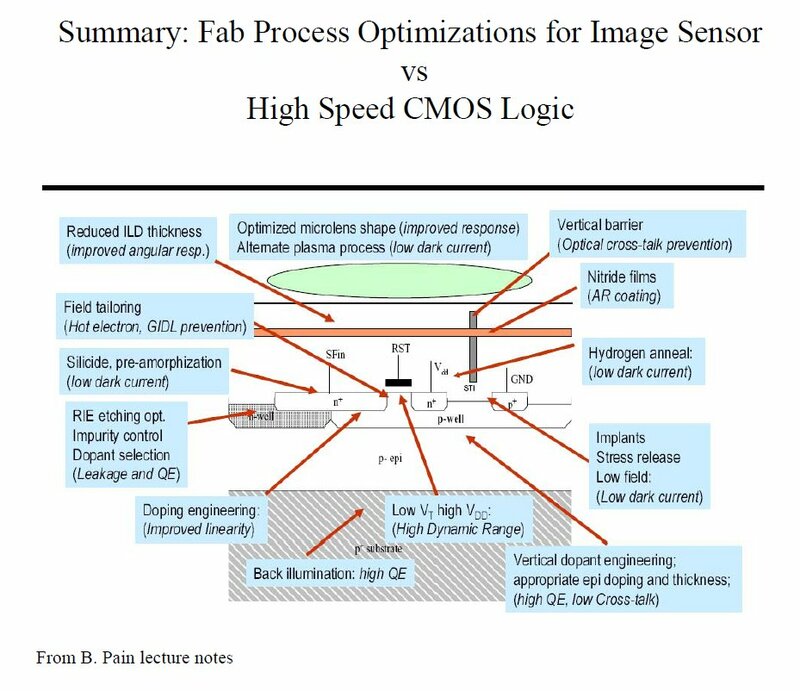 Based on a standard 0.18μm CMOS foundry flow, process details are shown below. The team packaged the imagers with a thermoelectric cooler (-80°C) and incorporated them into a compact camera. Packaged testing of devices revealed a pixel QE of 44% at 1.3μm at full VGA resolution and 32% at half resolution. 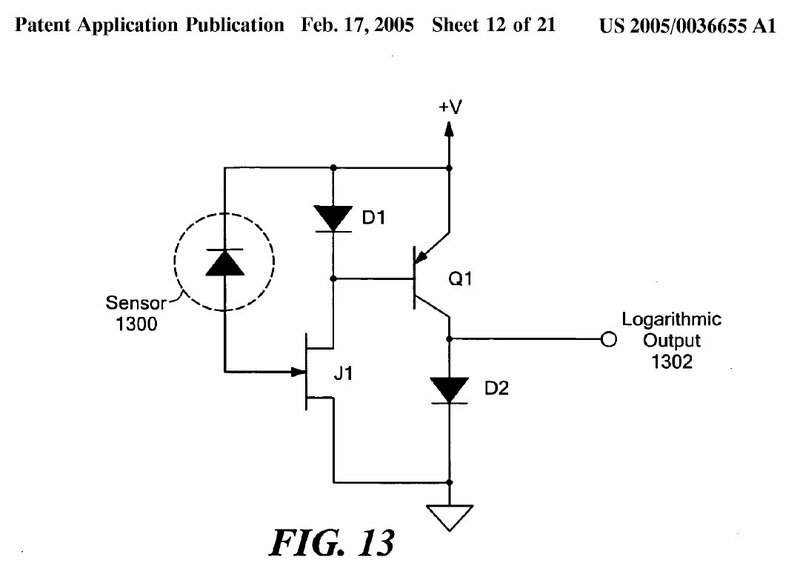 Ge diode integration flow. 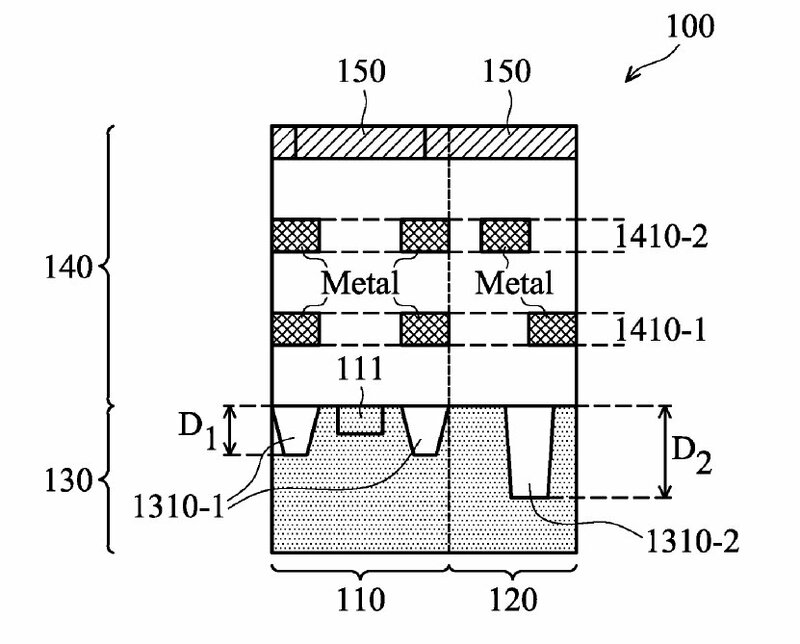 a) CMOS-to-contact formation; b) deposit Ge well dielectric, pattern Ge well and high AR Si seeding stem to form dual cavity; c) grow Si epi, CMP, form n and p regions in Ge by ion implant, deposit Ge interlayer dielectric; d) form Ge contact and stacked contact to CMOS, standard BEOL, microlens formation. 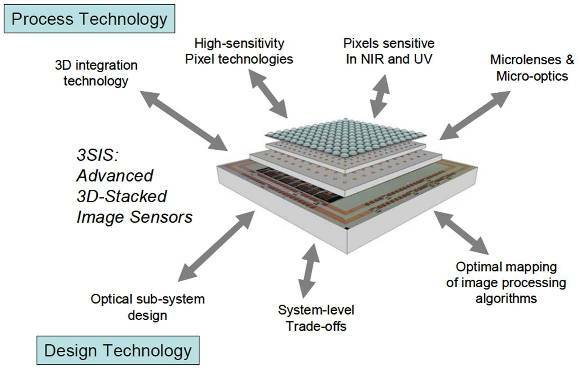 iSuppli: The market for area image sensors will rise from $5.8 billion and 1.5 billion units in 2009, to $6.7 billion and 1.7 billion units in 2010, resulting in an increase of 15.6% in total area image sensor revenues in 2010. CMOS sensors have taken over the market holding a market share of 88.5 percent in 2009. "The opportunities for CCD sensors will continue to dwindle in the coming years," says Pamela Tufegdzic, iSuppli analyst. "I see CCD sensor making up only 4.7 percent of the market by 2014. In 2010, CCDs will account for roughly 9.8 percent of the market. ... Are the days of CCDs finally behind us? It certainly appears so." e2v has been awarded a contract to develop a CCD for the European Space Agency (ESA) PLATO (PLAnetary Transits and Oscillations of stars) space science mission. The aim of PLATO is to search for transiting planets within our galaxy to understand the conditions for planet formation and the emergence of life. In order to achieve this aim the mission proposes to fly a satellite with a focal plane of up to 34 mini-telescopes, each containing 4 large area back illuminated CCDs to provide ultra high precision photometry. If successful, the satellite will have nearly 0.9 m2 of image sensors and will be by far the largest image sensor focal plane ever flown. PR Newswire: Omnivision announced that its OV9715 automotive-grade megapixel sensor has been selected by Xilinx for its four camera, 360-degree surround view automotive reference design. "360-degree view systems, obstacle detection and many other advanced driver assistance applications requiring megapixel resolution sensors are gaining widespread acceptance in the automotive market," said Jeff Morin, senior technical product manager for North American automotive products at OmniVision. "This trend is reflected in projections from market research firm Techno Systems Research Co., Ltd., which indicate that megapixel sensors for the automotive market are expected to jump from 1.3 percent market share in 2010 to nearly 35 percent market share by 2014." The 1/4-inch OV9715 uses a 3um OmniPixel3-HS pixel to achieve low light sensitivity of 3300 mV/lux-sec. The OV9715 is Automotive Electronics Council AEC-Q100 qualified and has completed the production parts approval process. Xconomy, PR Newswire: SiOnyx is announcing a completion of $12.5M Series B financing round that includes new investors Crosslink Capital in San Francisco and Seattle-based Vulcan Capital, Microsoft co-founder Paul Allen’s venture firm. Strategic partner Coherent, a laser company in Santa Clara, CA, also has signed on as a new investor in SiOnyx, and existing investors Polaris Venture Partners and Harris & Harris also participated in the round. The $12.5M represents the completion (and sum total) of the financing round that Xconomy first wrote about in June. In 2007, the startup raised $11M in venture capital from Harris & Harris, Polaris, and RedShift Ventures. It also has raised an undisclosed amount of non-dilutive financing from government sources and partners, the company CEO Stephen Saylor says, which brings the company’s total funding to more than $35M. Saylor explains that black silicon gives you performance in the dark comparable to what a conventional image sensor can do in daylight. That’s partly because the material is much better at absorbing photons in the near-infrared part of the spectrum than conventional silicon detectors. Saylor plans to use the new money to build out his “execution team” and take care of the company’s early customers. He says SiOnyx will be hiring around the world—including in Asia and the company’s satellite office in Beaverton, OR—in areas including engineering, marketing, finance, and business development. The company has more than 20 employees now and expects to double in size within 18 months, Saylor says. “There’s a lot of semiconductor history that says it requires a ton of capital. What makes us unique is we don’t have a massive device design team. We’re not doing an incredibly complex [video] codec [chip] or next-generation processor. We’re using existing technology and enhancing it with our process,” Saylor says. "According to data from Techno Systems Research, the CMOS sensor market is expected to double in five years to 2.6 billion units. ... [Omnivision] boasts an industry-leading 28 percent market share for all CMOS sensors. OmniVision dominates the smartphone market, accounting for nearly 50 percent of business in this space. The company is also seeing market share gains across a diversified product line. Unit demand for notebook computer cameras and webcams is expected to grow more than 65 percent by 2013. Additionally, unit demand for its entertainment device segment is expected to nearly quadruple by 2013 on the back of robust sales of MP3 music players equipped with cameras." "[Omnivision is] exploring opportunities in India, the world's second fastest-growing emerging market. Gaining a foothold in the Indian market would provide OmniVision with another potential long-term growth opportunity." Varioptic announced the appointment of Hamid Farzaneh as CEO of the company. This is a key step in the company's plans to commercialize its broadly applicable liquid lens technology. Farzaneh brings an expertise in leading global high-growth technology start-ups as well as high volume business experience to Varioptic. 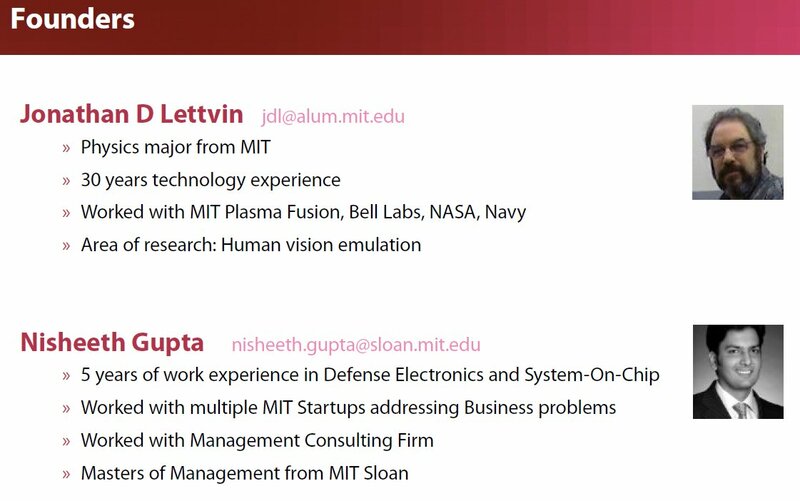 and Business Development for Silicon Optix, COO and co-founder of Motion Sense, EVP and COO of Genesis Microchip. Hamid Farzaneh will be based in Silicon Valley and will globally lead Varioptic’s team located in Lyon, France, and in other sites worldwide. PR Newswire: EVG reports that its recently announced SMS-NIL nanoimprint lithography is used in industrial environments for CMOS image sensors and micro-lens molding. EVG's Soft Molecular Scale Nanoimprint Lithography, or SMS-NIL, technology patterns ultra-high-resolution features down to 12.5 nm on EVG's proven UV-NIL systems. The technology uses soft polymeric working stamps to avoid damaging costly master stamps, resulting in significantly lower processing costs compared to other nano-patterning techniques. 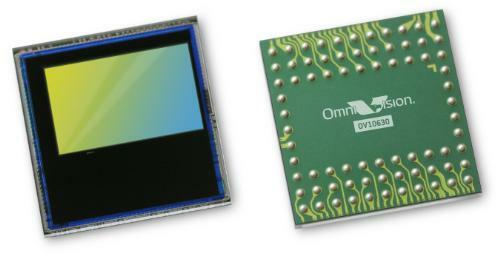 PR Newswire: Omnivision announced 1280 x 800 resolution color HDR sensor, the OV10630. Aimed to wide field of view and multi-camera automotive applications, the 1/2.7-inch OV10630 is built on a 4.2um pixel OmniPixel3-HS platform, enabling low-light sensitivity of 3.5V/lux-sec. A proprietary new HDR concept and processing technology delivers a dynamic range of 110dB in black-and-white, and more than 100dB in color while dramatically reducing or eliminating many typical HDR image sensor artifacts such as motion ghost artifacts and other unwanted effects. The OV10630 also employs auto dynamic range control to adjust to changing lightning and scene conditions. The OV10630 has an active array of 1280 x 800 pixels, providing 720p HD video at 30fps. It supports a digital video parallel port, providing fully-processed, display-ready color HDR video output in 8- or 10-bit YUV format, or 18-bit combined RAW RGB output with complete user control over formatting and data transfer. Fully unprocessed RAW data is also available in two 10-bit format images. The sensor also incorporates a number of automotive-specific features to support system health, including a temperature sensor with automatic disabling capabilities. The OV10630 is currently sampling and is undergoing AEC-Q100 qualification. It is scheduled to enter mass production in the second quarter of calendar 2011. 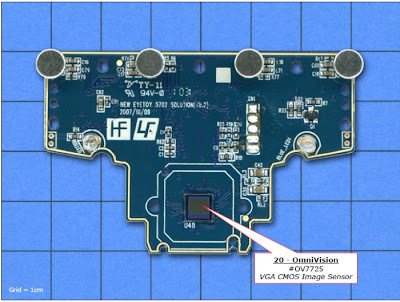 EETimes: UBM teardown of Sony Move revealed that the PlayStation Eye camera system is based around OV7725 60fps 6um pixel VGA sensor from Omnivision combined with a stand alone companion image processor, also from Omnivision. This is another high-profile design win for the company. Sony has reportedly sold about 1.5 million Move with Eye bundles in Europe, but sales in the U.S. are believed to be much lighter. 2011 International Image Sensor Workshop (IISW) Call For Paper has been posted. The deadline for receipt of abstracts is January 17, 2011. The Workshop will be held at Hakodate-Onuma Prince Hotel, Hokkaido Prefecture, Japan, June 8-11, 2011. The new part in Albert Theuwissen's PTC series covers RTS noise in pixels and how it affects PTC. The conclusion is simple: "the presence of the RTS pixels has no major influence on the PTC curve. All parameters extracted are very similar to a simulation without RTS pixels. To detect the characteristics of the RTS pixels, other tools than the PTC need to be applied." IMEC initiated an ambitious Flemish 3SIS Strategic Basic Research (SBO) project with aim to come up with a 3D integrated CMOS imager consisting of vertically integrated optical/detector/analog/digital processing tiers. 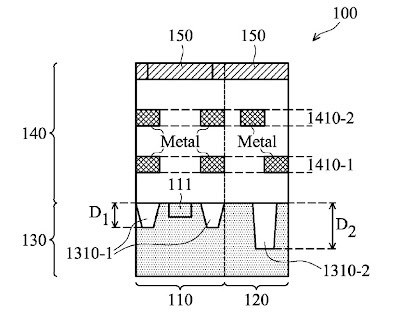 3D integration technology with through-silicon vias, allowing a separation of the photodetectors on the one hand and the pixel read-out electronics on the other hand into 2 separate layers. Pixel sensitivity for wavelengths outside the visual light spectrum. e2v has been awarded a contract to develop a new CCD for the ESA Euclid space science mission. The aim of the mission is to map and survey the shapes of galaxies to investigate the geometry of the dark universe through weak gravitational lensing. Weak gravitational lensing requires extremely high image quality to measure the true distortions by gravity. e2v’s image sensors will form the visible focal plane array in the Euclid space telescope. The CCDs will be large area back illuminated devices optimised for 550-920nm. The devices will be manufactured for close-buttability to minimise dead area in the focal plane and reduce the telescope size, mass and cost. Another good news message from e2v says that its facility in Grenoble, France has responded to increased demand within the line scan camera business by increasing its temporary workforce and implementing new shift patterns that better utilise equipment which has led to greatly increased productivity. Positive trends within the machine vision industry have led to significant increased demand for e2v’s camera products that have been introduced over the last two years. The temporary operators and test lines are already up and running and have already doubled e2v’s production capacity. “We believe the strength in September, or the third quarter, was mainly from CDMA, wireless, CMOS image sensor and handset names,” said Roland Shu, a semiconductor analyst with Citigroup, in his report. Yesterday TSMC surprised many analysts when reported record high monthly September sales, bringing its third-quarter revenue slightly above the company’s forecast. Hynix Sept. 2010 Newsletter has an announcement of 1/5-inch 2M ShellUT-packaged sensor for mobile phone and notebook PC camera applications. The sensor is based on 1.75um pixel and has an integrated ISP. Its frame rate is 15fps at full resolution. According to the newsletter, the mass production of the imager has started in August, while the system validation has been completed in Spetember 2010. Sony announced the commercialization of two new "Exmor R" BSI sensors: 1.12um-based 16.4MP IMX081PQ and 1.4um-based 8.1MP IMX105PQ, both specifically designed for mobile phones. At the end of 2010, Sony plans to start the mass production of BSI sensors, including those for mobile phones announced today, at Sony Semiconductor Kyushu Corporation's Kumamoto Technology Center, on 300mm wafer lines. Sony already announced on Sept. 1, 2010 the investment of approximately 40 billion yen in Kumamoto Technology Center to increase production capacity for CMOS image sensors. DPReview published an interview with Sigma COO Kazuto Yamaki, Foveon VP for Technology and Operations, Shri Ramaswami and its VP for Strategic Marketing, Rudy Guttosch talking about challenges on new 15.4x3 MP sensor design. The new sensor will be at the heart of the Sigma new SD1 DSLR, which is due in early 2011. Other than talking about the new sensor design, the article also mentions Foveon's past project of a sensor for mobile phone. 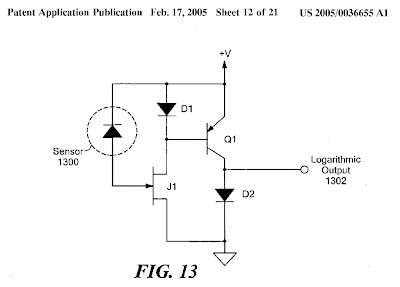 Bloomberg: Sony was sued by a unit of U.S. defense contractor L-3 Communications Holdings Inc. and accused of infringing two patents for image sensors, 5,541,654 and 5,452,004, which were issued in September 1995 and July 1996, respectively. L-3 asked for a jury trial, unspecified damages and a permanent injunction against infringing products, in an Aug. 27 lawsuit in federal court in Wilmington, Delaware. The New York-based company’s “extensive patent portfolio protects L-3’s considerable investment in its research-and- development efforts,” and Sony should pay license fees, L-3 said in court papers. An imaging device includes an array of plural imaging elements each of which is responsive to incident light flux to provide an output signal. Each of the imaging elements includes provision for conducting a variable time integration of incident light flux, and alternatively, also for selecting a time interval during which each of the imaging elements simultaneously conducts such a time integration of incident light flux (i.e., takes a snap shot of an image scene). The imaging device includes provision for random access of each image element or group of image elements in the array so that output signals indicative of all or of only selected parts of an imaged scene can be processed for their image information, if desired. The other parts of an imaged scene may not be considered or may be considered for their image information at a lower sampling rate than the selected parts of the scene so that image information about the selected parts of the image scene can be accessed at a much higher rate than is conventionally possible. A variable gain feature allows selective canceling of fixed-pattern noise, interference, or unwanted image information. An anti-blooming feature prevents charge from an excessively bright image source from cascading across the array. Also, a control cache memory allows control commands to be fed to the device at a high rate and to be implemented at a slower rate on a first-in, first-out basis. Thanks to J.S. for sending me the link.